Do you have a fully planned holiday schedule but still want to do some Similan islands liveaboard diving? 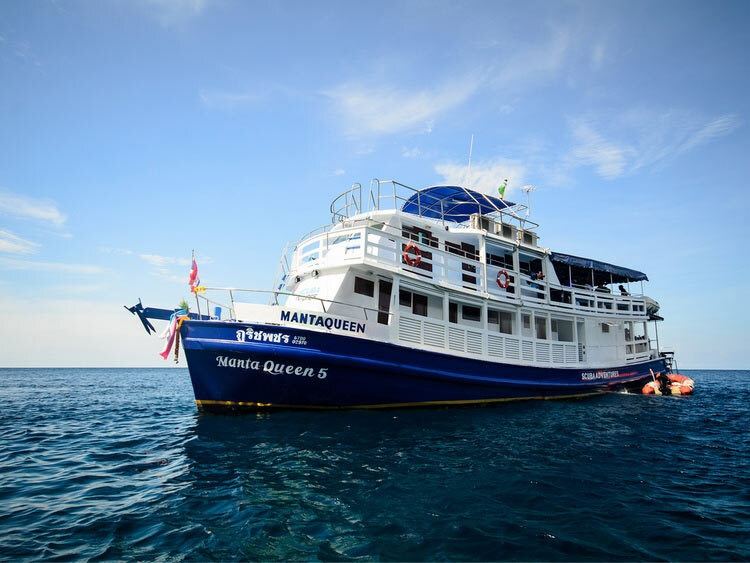 Then this Similan Islands liveaboard scuba diving trip on the Manta Queen is perfect for you! 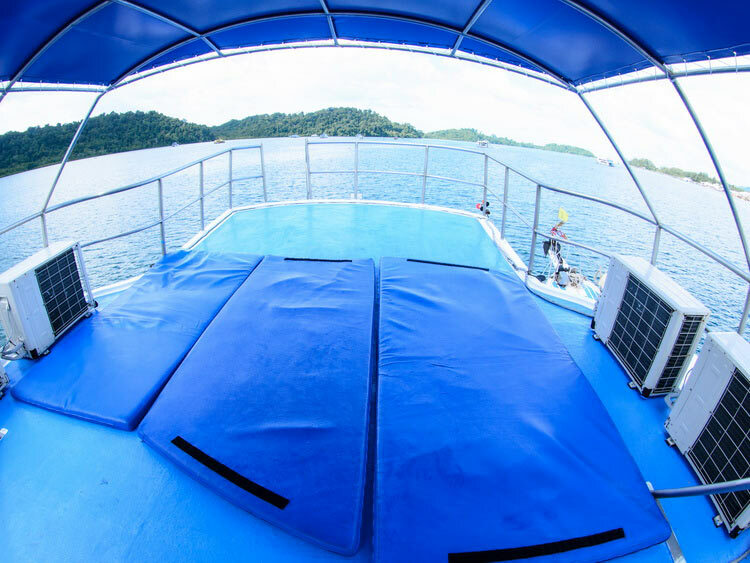 3 Days and 3 nights you will be cruising around the Similan Islands and Koh Bon enjoying the best Thailand liveaboard diving and the tropical landscape of the beautiful Similan Islands and Koh Bon. 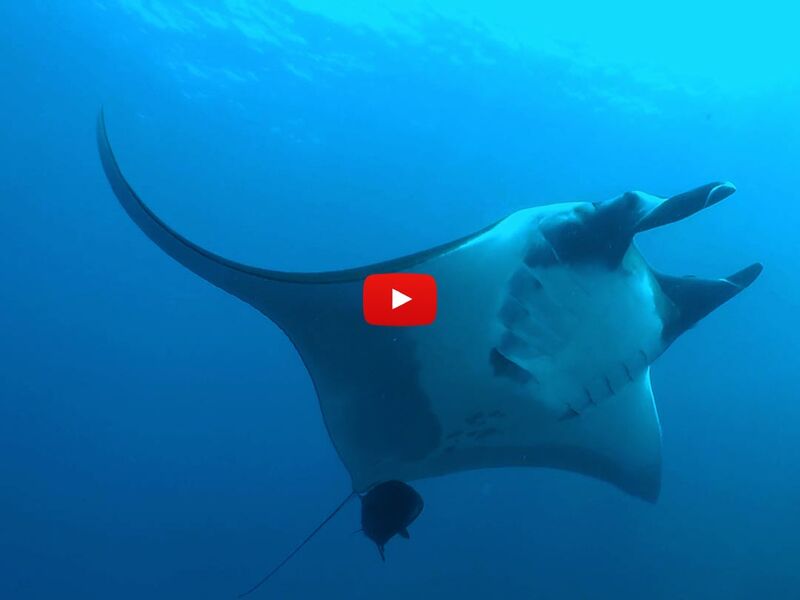 On this Similan Islands liveaboard trip you are going to do 11 dives at the best dive sites at the Similan Islands, Koh Bon, and the famous Boonsung wreck. 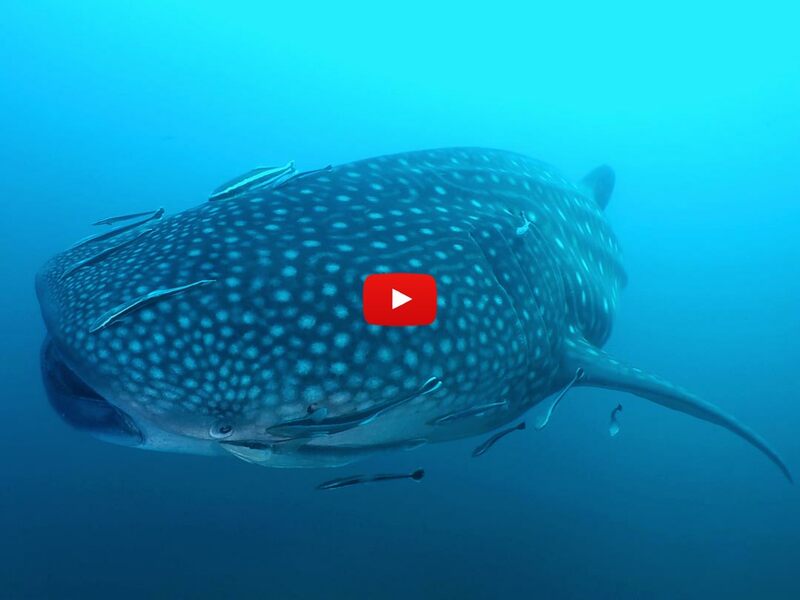 The Similan Islands are quite easy to dive what makes this South Thailand liveaboard trip perfect for novice divers. . . but at the same time, the diving here is exciting enough that advanced divers don’t get bored either. 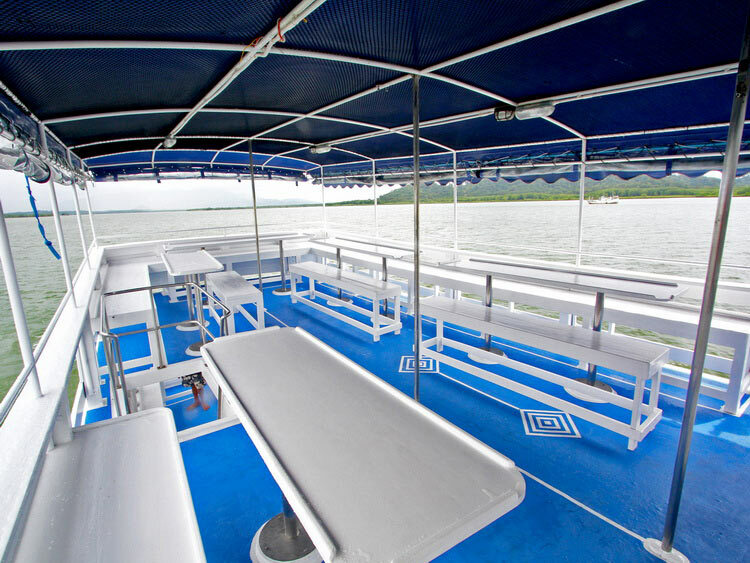 The groups you are diving in are small: maximum 5 divers with one professional dive guide. These dive groups are based on certification level and experience. 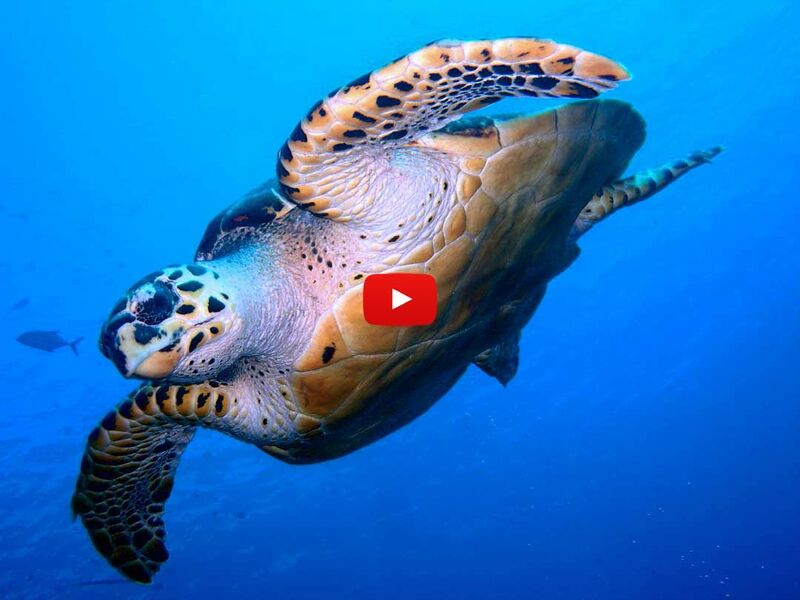 So, what does your liveaboard tour looks like? 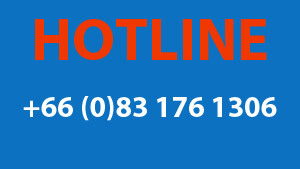 On the departure day, you will be picked up at your Phuket accommodation in the afternoon or at your Khao Lak accommodation in the early evening. The registration happens in the Khao Lak dive center and the transfer to the boat will be around 8 pm. 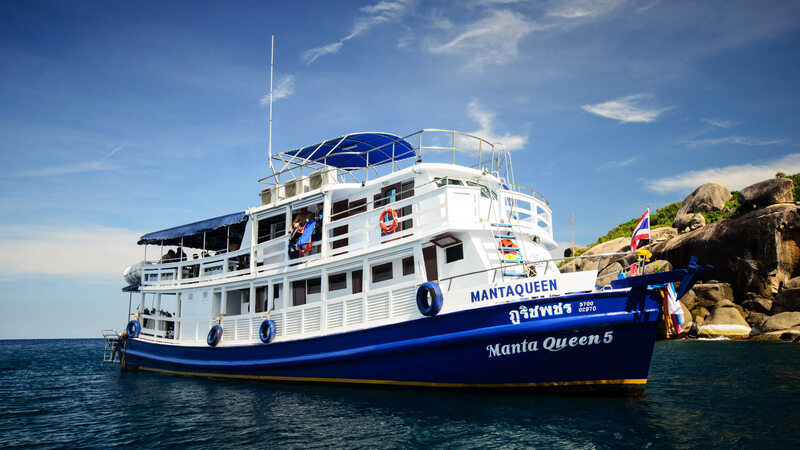 Upon arrival at the Similan Island liveaboard Manta Queen 5 you will get a general boat briefing, the cabins are allocated, dinner will be served and you can set up your Equipment. On the morning of the first day you awake early at the Similan Islands and the entire day you will dive around the Similan Island, 4 dives at different dive sites altogether. 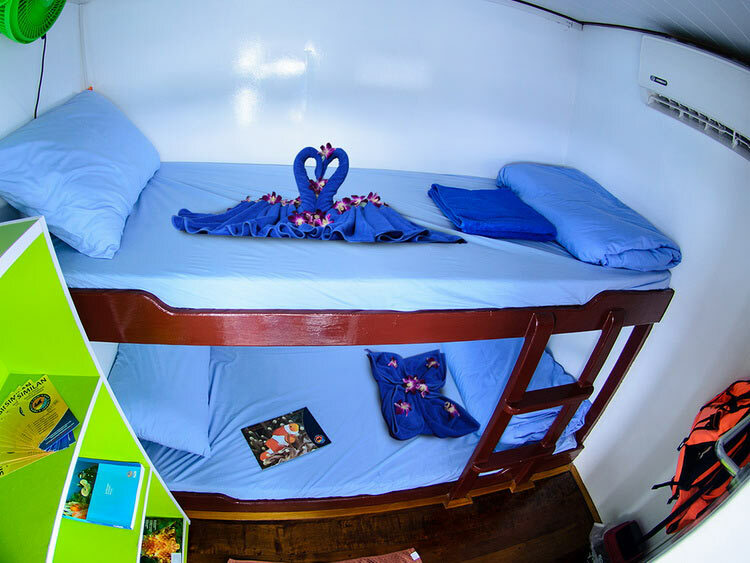 Between the dives, there is plenty of space on this Similan Islands liveaboard boat to relax and enjoy the time: You’ve got the open dining area and a large sundeck on top of the liveaboard with sunny and shaded areas. In the afternoon you can use the dinghy to spend some time on the beautiful beaches. Important Note: The National Park administration allows visitors now only on the Similan Island beaches! On day 2 there are 3 dives again around the Similan Islands and for your sunset dive, the Thailand liveaboard will take you north to the island Koh Bon. Day 3 brings 2 more exciting dives at Koh Bon, including the stunning Koh Bon Pinnacle (covert in yellow corals) for the early morning dive with the chance to see schooling batfish and barracudas or even the majestic manta rays. While you having lunch and relax again, the Similan Island liveaboard is heading back towards the harbor but will stop for your last dive of this trip at the amazing Boonsung wreck. 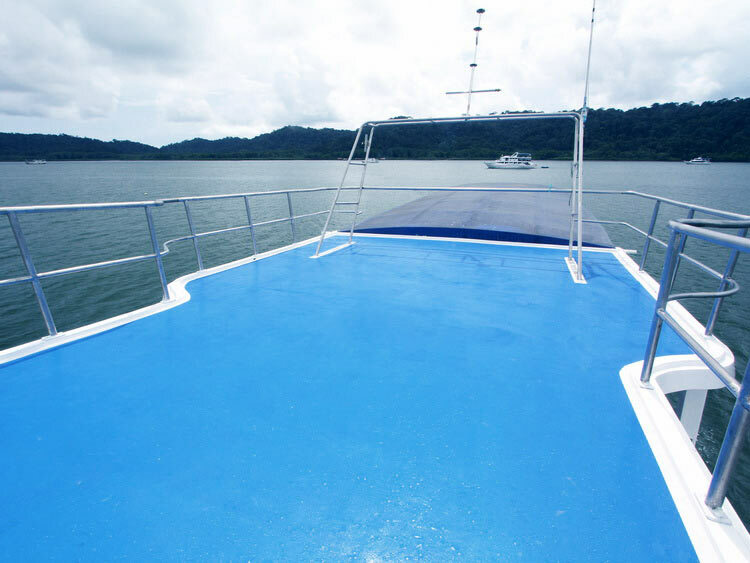 You will arrive at the Khao Lak dive center in the afternoon and about half an hour later you are on your way back to your resorts in Phuket or Khao Lak. 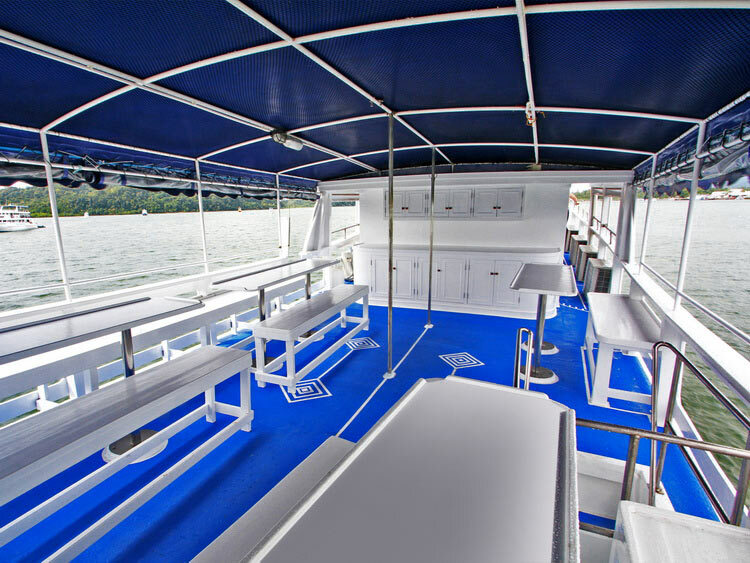 The M/V Manta Queen 5 is a 26 meter long and 5 m wide wooden vessel which accommodates 22 guests in spacious twin bed air-conditioned cabins. 5 experienced dive staff and 6 friendly and helpful boat crew members will take good care for you throughout your entire Similan Island liveaboard trip. All tasty meals onboard (a variety of Thai and Western dishes) are freshly cooked and served in buffet style. Vegetarian or vegan meals are available and there is no use of Monosodium Glutamate. If you are allergic to Nuts or other food ingredients please tell the staff during your check in at the dive center! Snacks and fruits are served in between the dives.